This week, dear Sally asked us to get up close and personal with a macro shot. 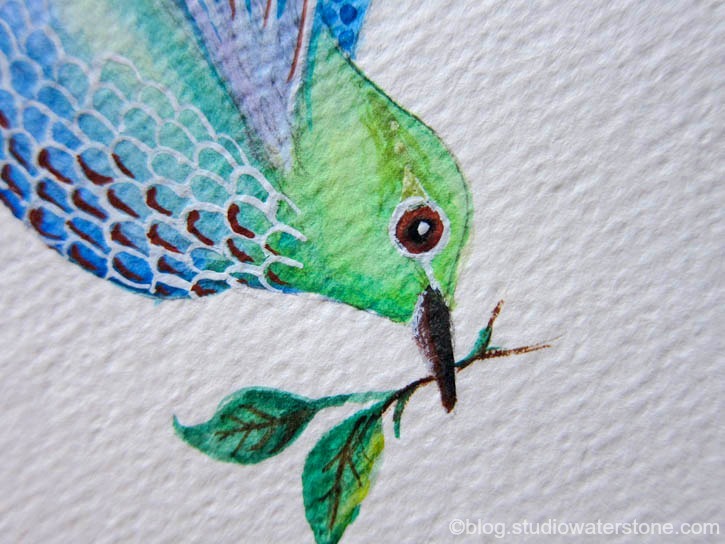 I decided to use my little meditative bird painting from earlier this week. Sorry to practically re-post, but I love the up close texture on this colorful bird and hope you do, too. So...you're getting a bird's eye view of...a bird's eye! Fabulous detail on the painting! 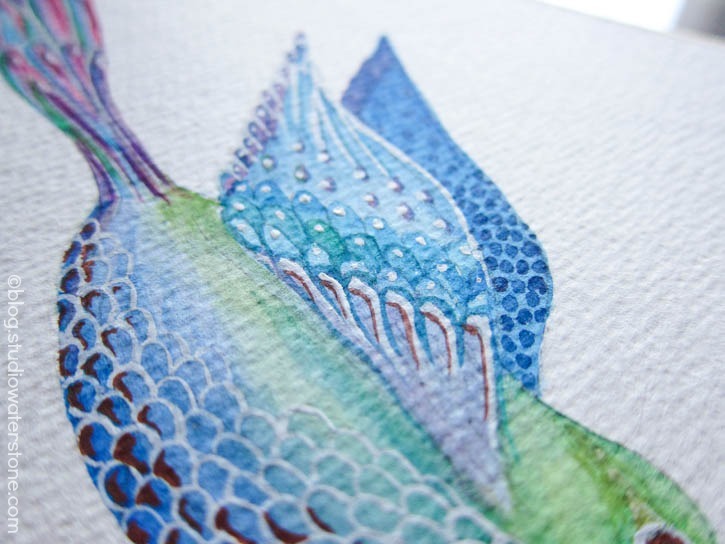 Love seeing how the feathers end up looking like fish scales! Your detail on this bird is breathtaking and all of the color..delicious. This little bird is even sweeter up close! How clever - love the "bird's eye view of the bird's eye view." The colors are so magnificent - my very favorite combination. You are so talented! That bird is awesome! Will it be framed and hung... it would certainly cheer up a room! This is absolutely stunning close up and far away! I love the bird...in fact I would love a picture of just him to post on my wall here at home. He is soooo beautiful. Thanks for showing him off! Well, you already know how much I love seeing your colorful artwork, but seeing it up close gives it a whole new dimention. Fabulous!! Your pic choice this week is wonderful. I have admired your art since I started this challenge. It's great to see it up close. Amazing paintings! ...that eye is just phenomenal. You are so talented! I love your art and seeing the delicate detail up close is so inspiring. Love the title 'a bird's eye view'. Very clever indeed. 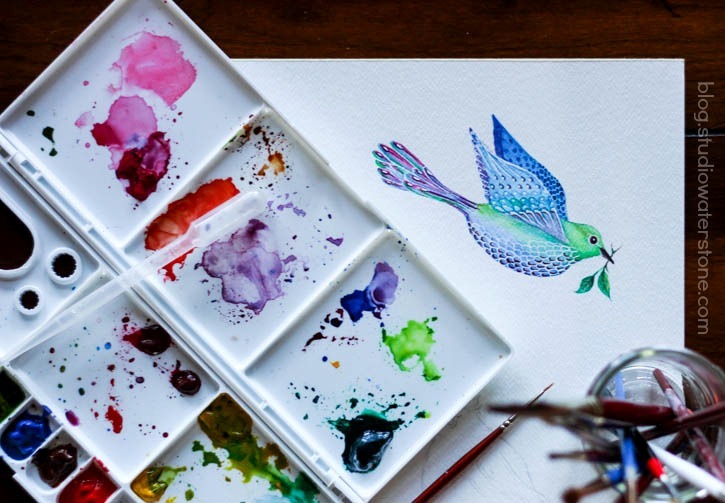 You are very talented with a paint brush the detailing on the bird is beautiful. 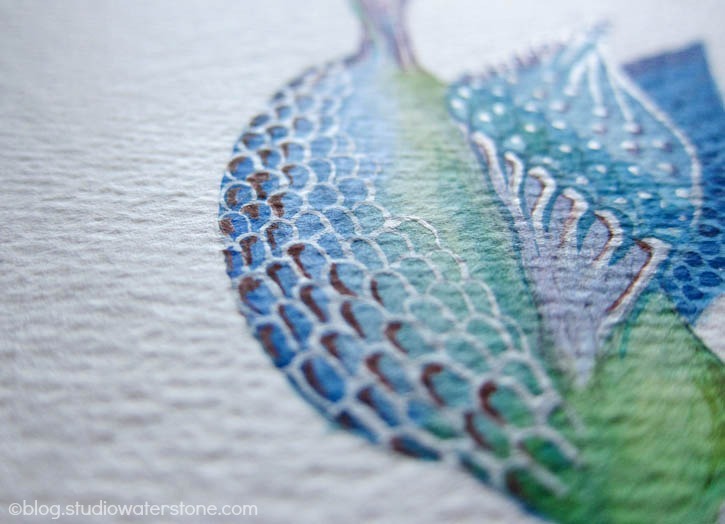 The colors are awesome and I love the texture on the paper as well. Wow...what a treat THAT was! What a lovely painting! And the closeups are wonderful! Lori, I love your watercolors but now have a whole new appreciation for them after seeing these macro shots and all the fne details! Just gorgeous!